Dear Still is Chill reader, this Friday's full moon will be of different kind, it will be a "Blue Moon". 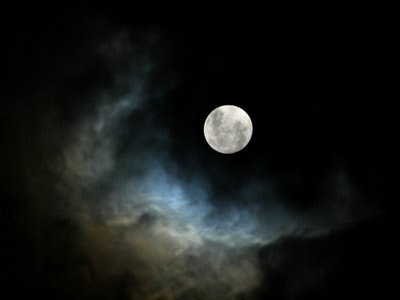 It is the second full moon of this month - August 2012. One of the ways to make use of this special event, is to cleanse one's system - detoxify. This can be done easily by avoiding food on the day of the full moon. "We have come to modern times where, day or night, light is glaring in our eyes. Even if there is a full moon, I think most people who live in urban areas today do not even notice it. How can you miss a full moon? It is big enough and bright enough!" - mystic and yogi Sadhguru says about the full moon. Naked in Ashes - A great documentary showing the life of Himalayan Yogis the way it is today. Often seen as living in harsh ways, these beings are true treasures for our humanity. Naked in freezing temperatures, covered in ashes, sometimes without food for days ... If our society's standards were true, they should be miserable, but the truth is that they are the happiest people on the planet - loving, gentle, kind with a big smile over their shiny faces - not out of their weakness, they can be very powerful! When somebody is very powerful and still remains loving, kind and compassionate - that person is a true "treasure for humanity"
Alright alright, it's time to look back and see where is our beloved yoga practice and knowledge coming from. Today's market is full of this yoga, that yoga, hot pretzel yoga, octopus yoga (as if 4 limbs wasn't enough!) .. to a point of ridiculousness! We all love our practice, but do we really know when, where and above all who came up with this deep understanding of the human system? Well, you're about to find out! If you're the way I was just 6 years a go, you must think that yoga have started sometime in 70's, in one of the California based yoga studio. Sure enough today we know that the very first yoga class goes as far as 30,000 years back. Read more about this from renounced yogi and mystic - Sadhguru.